Air pollution causes a variety of health problems for people of all ages; however, the elderly, young, sick, disabled and poor are more disproportionally affected. This is also the case when comparing poorer nations that have less pollution restrictions to wealthier and more environmentally regulated countries. Even small doses and short exposure times to pollutants can bring on an asthma attack or worsen a preexisting condition. Short term health effects of air pollution include eye, nose and throat irritation; bronchitis and pneumonia; asthma and emphysema; allergic reactions; and, in some cases, pollution can exacerbate pulmonary issues that can lead to death. Smog, particulate matter, ozone, nitrogen dioxide and sulfur dioxide can all contribute to ear, nose and/or throat irritation. Smog is a combination of smoke and fog. Smoke contains particulate matter which can severely irritate the eyes, nose and throat. Even short term exposure to significant particulate matter can cause intense coughing spells, sneezing, eye watering and burning. Similarly ozone can cause coughing, wheezing and a dry throat. Nitrogen dioxide irritates the lungs and throat while sulfur dioxide narrows the airways, causing wheezing, shortness of breath and tightening in the chest. High concentrations of sulfur dioxide in air pollution can cause burning in the nose. Short term exposure to air pollution can cause or aggravate lower respiratory conditions such as bronchitis and pneumonia. Children are especially affected by polycyclic aromatic hydrocarbons, or PAHs, which can cause acute bronchitis. PAHs are released when fuel such as wood and coal are burned, as well as from grilling food and vehicle emissions. In addition, indoor air pollution from cooking fuels is detrimental to women and children across the world. According to the World Health Organization, exposure to indoor pollution more than doubles the risk of pneumonia. People with chronic conditions like asthma and emphysema are especially vulnerable to short term exposure to air pollution. Nitrogen dioxide affects asthmatic people more intensely than others. It causes those with asthma to be more susceptible to lung infections and asthma triggers like exercise and pollen. Sulfur dioxide affects people with chronic conditions as well. Since it tightens the airways it can cause people with asthma or emphysema to have stronger symptoms than normal and an increased lack of breath. Air pollution from industrial plants, factories and automobiles all contribute significantly to an increase in asthma attacks. One of the short term effects of air pollution is an increase in the likelihood of allergic reactions. Not only do people with chronic conditions like asthma and emphysema need to pay attention to pollution indexes but now people with allergies are advised to do so as well. Pollution acts as a trigger to inflame already existing allergic reactions. Ozone is one of the main culprits. People who have strong allergies may want to stay clear of high traffic areas like freeways and highways; ozone is particularly acute in these areas. Air pollution can lead to death in many cases. The World Health Organization estimates that indoor air pollution from solid fuel leads to approximately 1.6 million deaths per year. During London's "Smog Disaster" in 1952 about four thousand people died in just a few days because of a high concentration of air pollution. Carbon monoxide is also a quick and silent killer. It bonds to the blood's hemoglobin, slowly suffocating people as they breath. Carbon monoxide is especially dangerous indoors during the winter because it originates from unburnt fuel and settles close to the ground in cold seasons. The main source of air pollution is fuel. Burning fields, wood fires, vehicle emissions, cooking and heating oil all contribute to air pollution. Coal burning plants also release tons of particulates into the atmosphere. Industrial plants release toxins from smoke stacks and even household products containing formaldehyde can cause respiratory irritation. Bartleson, Becca. "Short Term Effects of Air Pollution." 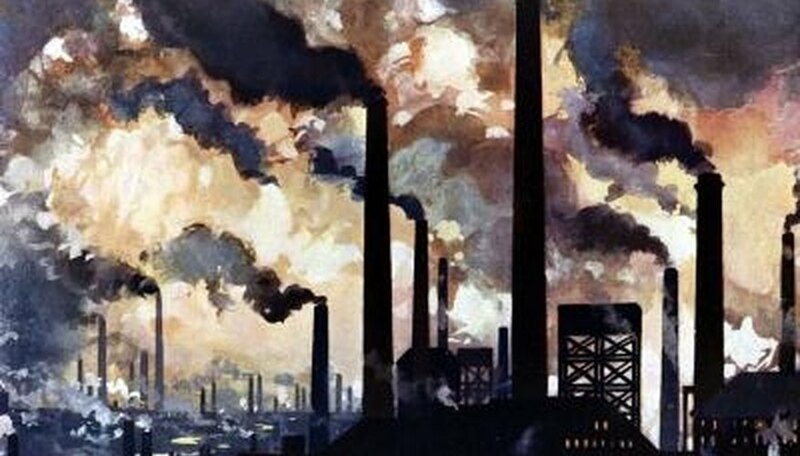 Sciencing, https://sciencing.com/short-term-effects-air-pollution-5325756.html. 24 April 2017.